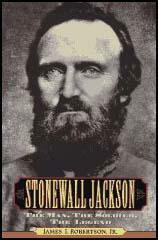 Thomas Stonewall Jackson was born in Clarksburg, Virginia, on 21st January, 1824. After graduating 17th in his class at the U.S. Military Academy at West Point he was commissioned as a second lieutenant. He served with distinction in the Mexican War and won two brevets. While in Mexico Jackson became a devout Presbyterian. A friend later commented that "he never smoked, he was a strict teetotaler and never touched a card." In 1851 Jackson was recruited to teach at the Virginia Military Institute. Jackson was a devout Presbyterian. A friend later commented that "he never smoked, he was a strict teetotaler and never touched a card." His students called him Deacon Jackson while others compared him to Oliver Cromwell. On the outbreak of the American Civil War Jackson was commissioned as colonel and was given the task of organizing volunteers into the new Confederate Army. Promoted to the rank of brigadier general he took part in the first battle at Bull Run (July, 1861) against the Union Army led by Irvin McDowell. The Confederate troops led by Joseph E. Johnston, Jeb Stuart, Jubal Early and Pierre T. Beauregard easily defeated the inexperienced Union troops. It was during this battle that Brigadier General Barnard E. Bee said Jackson's troops stood against the Union forces "like a stone wall". After this he was known as Stonewall Jackson. By the summer of 1862 the main Union Army under George McClellan were ready to march on Richmond. McClellan and his 115,000 men encountered Confederate Army at Williamsburg on 4th May. McClellan moved his troops into the Shenandoah Valley and along with John C. Fremont, Irvin McDowell and Nathaniel Banks surrounded Jackson and his 17,000 man army. Jackson was ordered by President Jefferson Davis to try and delay the attack on Richmond. First Jackson attacked John C. Fremont at Cross Keys before turning on Irvin McDowell at Port Republic. Jackson then rushed his troops east to join up with Joseph E. Johnston and the Confederate forces fighting George McClellan. Joined by Jackson , the Confederate troops constantly attacked George McClellan and on 27th June they broke through at Gaines Mill. Convinced he was outnumbered, McClellan retreated to James River. Abraham Lincoln, frustrated by McClellan's lack of success, sent in Major General John Pope, but he was easily beaten back by Jackson. In July, 1862, John Pope decided to try a capture Gordonsville, a railroad junction between Richmond and the Shenandoah Valley. Pope selected Nathaniel Banks to carry out the task. Robert E. Lee considered Gordonsville to be strategically very important and sent Jackson to protect the town. On 9th August, Jackson defeated Banks at Cedar Run. Pope now ordered George McClellan army based at Harrison's Landing to join the campaign to take the railroad junction. When Lee heard this news he brought together all the troops he had available to Gordonsville. On 29th August, troops led by Jackson and James Longstreet, attacked Pope's Union Army at Manassas, close to where the first battle of Bull Run had been fought. Pope and his army was forced to retreat across Bull Run. The Confederate Army pursued the Army of Virginia until they reached Chantilly on 1st September. The following month George McClellan faced Jackson again at Antietam. On 17th September, McClellan and Major General Ambrose Burnside attacked with over 75,300 troops against 37,330 Confederate soldiers. Lee held out until Ambrose Hill and reinforcements arrived. It was the most costly day of the war with the Union Army having 2,108 killed, 9,549 wounded and 753 missing. The Confederates, who were now have serious difficulty replacing losses, had 2,700 killed, 9,024 wounded and 2,000 missing. Jackson also led his men at Fredericksburg (November/December, 1862) and Chancellorsville (May 1863). However, after returning from the battlefield he was accidentally shot by one of his own men. Jackson's left arm was successfully amputated but he developed pneumonia and he died at Guinea Station on 10th May, 1863. 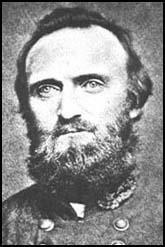 (1) Thomas Stonewall Jackson watched the execution of John Brown on 2nd December, 1859. That night he wrote a letter to his wife about what he had witnessed. John Brown was hung today. He behaved with unflinching firmness. The gibbet was erected in a large field, south-east of the town. Brown rode on the head of his coffin from the prison to the place of execution. He was dressed in a black frock-coat, black pantaloons, black waistcoat, black slouch hat, white socks, and slippers of predominating red. The open wagon in which he rode was strongly guarded on all sides. Brown had his arms tied behind him, and ascended the scaffold with apparent cheerfulness. After reaching the top of the platform, he shook hands with several who were standing around him. The sheriff placed the rope round his neck, then threw a white cap over his head. In this condition he stood for about ten minutes on the trap-door. Colonel Smith then announced to the sheriff "already", which apparently was not comprehended by him, and the colonel had to repeat the order. Then the rope was cut by a single blow, and Brown dropped several inches, his knees falling to the level occupied by his feet before the rope was cut. With the fall, his arms below the elbows flew up horizontally, his hands clenched; but soon his arms gradually fell by spasmodic motions. There was very little motion for several moments; then the wind started to blow his lifeless body too and fro. The conduct of General Jackson also requires mention as eminently that of an able, fearless soldier and sagacious commander, one fit to lead his efficient brigade. His prompt, timely arrival before the plateau of the Henry House, and his judicious disposition of his troops, contributed much to the success of the day. Although painfully wounded in the hand, he remained on the field to the end of the battle, rendering valuable assistance. Then occurred a long delay of several weeks preparing for what seemed to be an indefinite siege of Richmond. The hostile forces strengthened their position by the slashing of timber, constructing abatis, lines of earthworks, etc. army and became a professor at the Military Institute at Lexington, Virginia. He was a strange man, an eccentric religious enthusiast. Being a native of Virginia, he was quite familiar with the topography of the country; and, being given an independent command, he moved with great secrecy and celerity against the Union forces occupying separate positions, and then moved by a rapid forced march to the left flank of Lee's army in front of Richmond, Lee having succeeded to the command after the disabling of Johnston at the battle of Fair Oaks. (6) General Robert E. Lee, report on the battle of Fredericksburg in December, 1862. To Longstreet and Jackson great praise is due for the disposition and management of their respective corps. Their quick perception enabled them to discover the projected assaults on their positions, and their ready skill to devise the best means to resist them. Besides their services in the field - which every battle of the campaign from Richmond to Fredericksburg has served to illustrate - I am also indebted to them for valuable counsel, both as regards the general operations of the army and the particular measures adopted. (7) Carl Schurz fought at Bull Run and later wrote about it in his autobiography published in 1906. Stonewall Jackson, with a force of 26,000 men, had worked his way through Thoroughfare Gap to the north of us, had swooped all around Pope's flank, having made a march of fifty miles in thirty-six hours and pounced upon Manassas Junction, where Pope's supplies and ammunition were stored, helping himself to whatever he could use and carry off, and burning the rest. Jeb Stuart's troopers, accompanying Jackson, had even raided Pope's headquarters at Catlett's Station. It was a brilliant stroke, but at the same time most hazardous, for Pope's largely superior forces might have been rapidly concentrated against him, with Longstreet, his only support, still far away. Jackson was hit by three balls at once. One penetrated the palm of his right hand, and was later cut out from the back of the hand; a second passed around the wrist of the left arm and out through the left hand. A third ball passed through the left arm, half-way from shoulder to elbow. The large bone of the upper arm was splintered to the elbow-joint, and the wound bled freely. (9) General Oliver Howard took part in the battle of Chancellorsville in May, 1863. 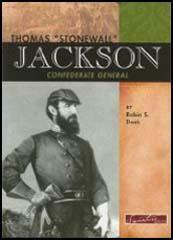 He later wrote about the death of Thomas Stonewall Jackson in his autobiography published in 1907. What a roar of cannon pouring their volleys into the forest, now black with the growing night! It was in the forest that the brave, energetic, and successful injurious to the Confederate cause than would have been that of 10,000 other soldiers, so great was the confidence he had won, so deep was the reverence of citizen and soldier for his character and ability! One more year of "Stonewall" would have saved us. 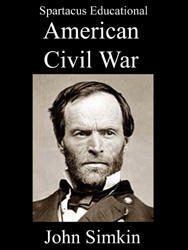 Chickamauga is the only battle we have gained since "Stonewall" died, and no results follow as usual. "Stonewall" was not so much killed by a Yankee; he was shot by his own men; that is hard. General Lee can do no more than keep back Meade. "One of Meade's armies, you mean," said I, "for they have only to double on him when Lee whips one of them." If General Lee had had Grant's resources, he would have bagged the last Yankee or have had them all safe back in Massachusetts.